All of us would like to be healthier, to look better, and to live well both physically and spiritually. Living well is almost the entire world’s shared dream. As everything that is precious to us has been honored with a special day, why is it that we don’t have a special global day dedicated to the only thing which is really valuable to all of us, that is, living well? Come and join the worldwide celebration of GLOBAL WELLNESS DAY on June 11, 2016, from 7am to 11am at 2nd Floor of FTX Fitness Exchange., 123 Tordesillas St., Makati City (in front of Salcedo Park). We can now answer this question by saying “it now exists”. This special day is called Global Wellness Day. First celebrated in 2012, Global Wellness Day was established in Turkey as the “first” day dedicated to living well, and has now been accepted world-wide. It is officially celebrated on the second Saturday of June every year in 7 continents, and this year 2016, it will be in 83 countries with 86 ambassadors thus reflecting its success. GWD is an entirely not-for-profit day, a social project created by volunteers dedicated to living well. The purpose of Global Wellness Day is to ask the question, even if for just one day, "How can I live a healthier and better life? ", to direct the thoughts of both individuals and society towards “living well” and to raise awareness. 5. To raise awareness about living well and increase motivation, not justfor today, but for the remaining 364 days of the year. To get one step closer towards living well, let our manifesto be yourstarting point. 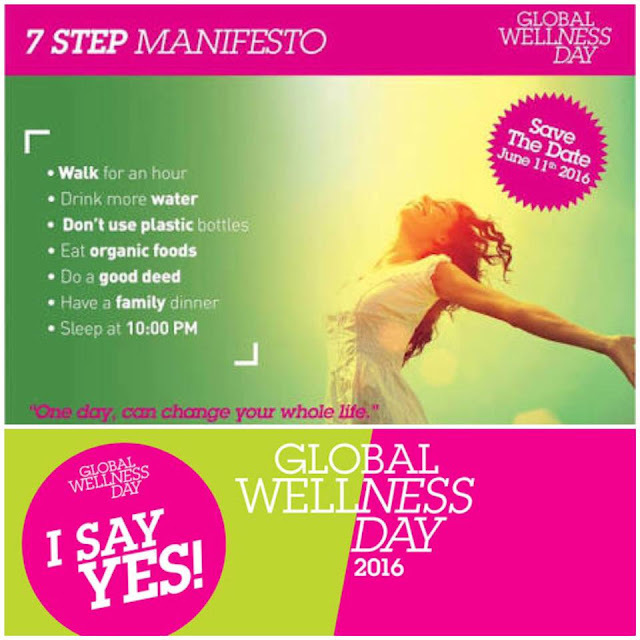 In order to make Wellness a lifestyle, Global Wellness Dayaims to adopt the following seven simple steps. What is important is not to implement all of the steps all at once, but to incorporate at least just a few ofthem into your daily life on a regular basis. 1- Walk for an hour. 3- Don’t use plastic bottles. 5- Do a good deed. 6- Have a family dinner. To honor Global Wellness Day activities are FREE of charge and open to the public. Celebrations will be at the FTX Fitness Exchange at Three SalcedoPlace in Salcedo Village (right across Jaime Velasquez Park which is alsohome to the Saturday organic market). For the whole morning, complimentary consultations are available on weight loss/gain, skin analysis, muscle imbalance, fitness assessment and health provider. Healthway will also be hosting free Postural Alignment analysis. 7:00 am “A Good Deed Daily Keeps You Healthy’ (Group Fitness Studio) anopening invocation by Christian Church pastor Manu Reyes a.k.a.the “Fitness Pastor”, fitness brand ambassador and consultant forcorporate fitness solutions. 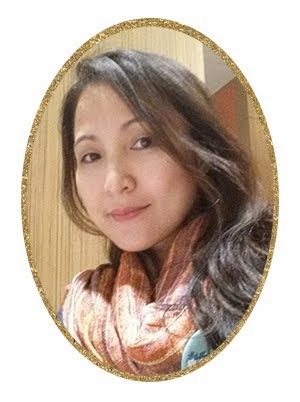 7:20 Global Wellness Day Manifesto (Group Fitness Studio) by GWDPhilippines Ambassadress, Vikki Aquino, a spa & wellness expert,and the Director of Spa at Tiger Resort, Leisure & EntertainmentInc., the largest integrated resort development (44 hectares) in thecountry. She will talk about getting us a step closer towards livingwell, using the GWD manifesto as the starting point. 8:20 “Painless Everyday” (Group Fitness Studio) by Orthopedic andTraumatology surgeon, and marathoner Dr.Jun Puti. Learn how toheal back, shoulder, carpal and other joint pains; how to preventthem from worsening and limiting you from enjoying life. 8:40 “Change is Good and Change is Here” (Group Fitness Studio) bysocial activist and director/actress Mae Paner a.k.a. “JuanaChange”. An inspiring journey about her life attitude towards never-ending struggles and amazing successes with weight loss,weight gain and weight loss again. 9:20 “Wellness in the Workplace” (Group Fitness Studio) Learn initiativesthat maintain a happy and healthy work force by PeopleManagement Association of the Philippines (PMAP) a professional,non-stock, not-for-profit organization of over 1,800 membercompanies and individual management executives engaged orinterested in Human Resource Management (HRM) and IndustrialRelations (IR) work. 9:40 “Get In-Shape without Really Trying Hard” (Group Fitness Studio)by Mr. Philippines 1998 Joseph Velasco, and, Mr Philippines 2008and Mr. Physique 2014 Reijo del Prado, who is also the founder ofthe Natural Bodybuilding and Fitness Association of the Philippines. 10:00 Presentation of 100 seedlings by GWD Philippines Ambassadress,Vikki Aquino to Ride Guardians of Mother Earth Head Ranger, MelvaBenavidez. RGME is a volunteer group of motorcycle riders whopay back to the environment what nature offers them. VENUES: Global Wellness Day will also be recognized at Nurture Wellness Village at the holiday destination city of Tagaytay. The overnight program will host media personalities and bloggers (by invitation). Itis packed with activities, and June 11 greets the day with a cultural dance show, followed by a farm tour with demonstrations on medicinal plant preparation, coffee roasting and juicing. There is also Salad Making, Partner Massage, Towel Origami and the evening will be culminated with a bonfire and socials. The following day, June 12, will start with Taichi Gong and Happy Dance followed by a healthy breakfast and sharing, then Head and Shoulder Massage and finally closing with a leisurely lunch. GWD Philippines is also involved in the annual National Wellness Day festivities of the People Management Association of the Philippines (PMAP) on June 30 at the Mall of Asia, where member companies will exhibit and showcase their corporate wellness efforts. They will also have various wellness speakers, health tests, and fitness classes for the general public to enjoy. This is one wholesome free event that I cannot miss. Thanks for sharing it on your blog. See you there. This seems to be a perfect date for me and husband. See you then there. For the first two, been doing that already plus the do good deed:) need to practice the sleep by 10pm and organic food. Di ba tayo kasama sa Nurture Wellness Village?